Happy birthday mas, hope it's been a good yin. Happy Birth of Das, hope everything works out and the birthday is a good one. Happy Birthday Pengers - sorry to hear about your Grandfather there; here's hoping all as well as it can be . Hope you've had a good birthday today Mr. Ofdas! A birthday weekend with the Rumble and RE2 can't be the worst birthday going, eh? Wrong thread? But does look an interesting game. Thank you! It really has been a while since I've been here. I am surprised but pleased by the promptness of that response! Did you have a nice day/get anything good sir? It appears to secretly be Mr. Muss' mirthday... er, I mean birthday. Have a good one sir! Happy secret birthday to the Muss man. Happy Birthday to the musselman, hope it's been a good one. Sorry to have mussed it, Happy Birthday! 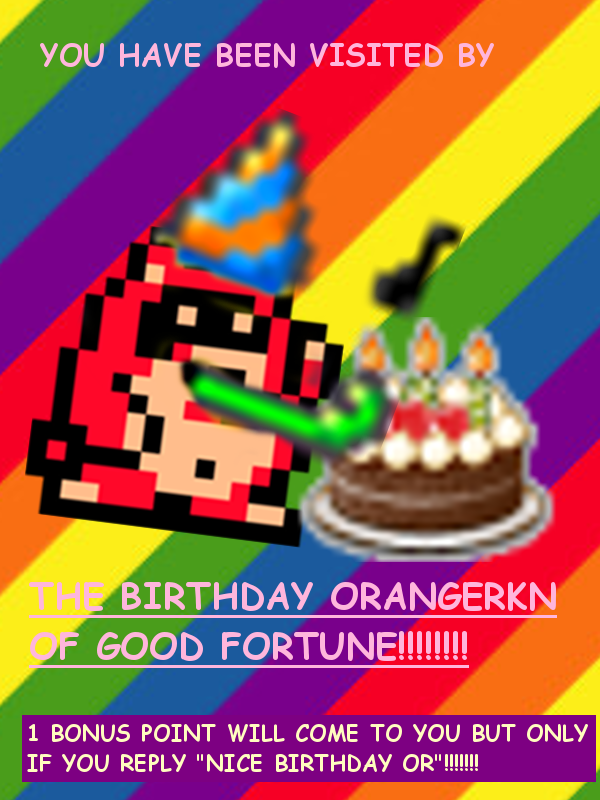 Happy birthday to GRcade's second-best poster. Belated happy birthday to OR! Get up to anything nice?